A living organism is also affected by the living components of its environment. Biotic factors are living things. (plants, animals, fungi, bacteria, etc.) Competition exists for available food resources. Predators feed on members of the population. Microbes can bring diseases. There may be competition for nesting space. Plants may compete for the light needed to carryout photosynthesis. These are many other biological factors determine the success of an individual or species. ​Both biotic and abiotic factors are related to each other in an ecosystem, and if one factor is changed or removed, it can affect the entire ecosystem. 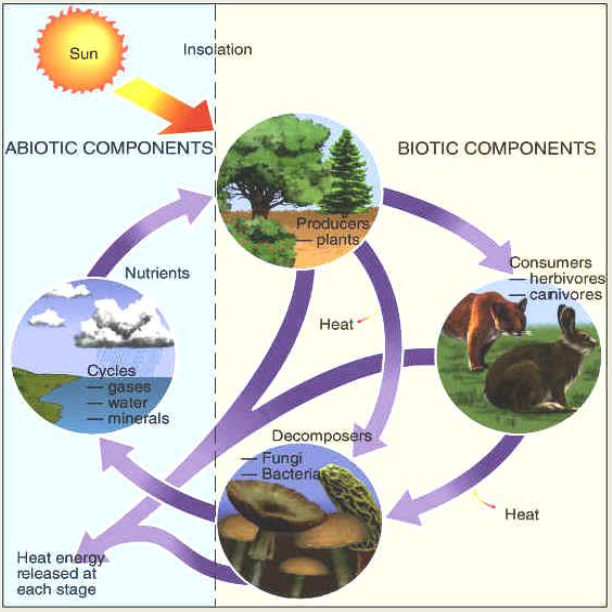 Abiotic factors are especially important because they directly affect how organisms survive.